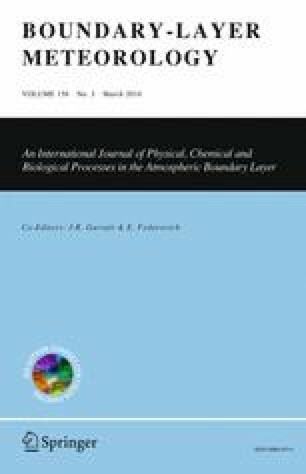 Comprehensive measurements on the mountainous island of Corsica were used to investigate how the mountain atmospheric boundary layer (mountain ABL) in a valley downstream of the main mountain ridge was influenced by the upstream flow. The data used were mainly collected with the mobile observation platform KITcube during the first special observation period of the Hydrological cycle in the Mediterranean Experiment (HyMeX) in 2012 and were based on various in situ, remote sensing and aircraft measurements. Two days in autumn 2012 were analyzed in detail. On these days the mountain ABL evolution was a result of convection and thermally-driven circulations as well as terrain-induced dynamically-driven flows. During periods when dynamically-driven flows were dominant, warm and dry air from aloft with a large-scale westerly wind component was transported downwards into the valley. On one day, these flows controlled the mountain ABL characteristics in a large section of the valley for several hours, while on the other day their impact was observed in a smaller section of the valley for about 1 h only. To explain the observations we considered a theoretical concept based on uniform upstream stratification and wind speed, and calculated the non-dimensional mountain height and the horizontal aspect ratio of the barrier to relate the existing conditions to diagnosed regimes of stratified flow past a ridge. On both days, wave breaking, flow splitting and lee vortices were likely to occur. Besides the upstream conditions, a reduction of stability in the valley seemed to be important for the downward transport to reach the ground. The spatio-temporal structure of such a mountain ABL over complex terrain, which was affected by various interacting flows, differed a lot from that of the classical ABL over homogeneous, flat terrain and it is stressed that the traditional ABL definitions need to be revised when applying them to complex terrain. This work is a contribution to the HyMeX program. We thank Veronique Ducrocq from METEO-FRANCE and Evelyne Richard and Dominique Lambert from the University of Toulouse/CNRS for their support in performing the KITcube measurements on Corsica during HyMeX. We further acknowledge the help of Antoine Pieri from the fire brigade at Corte/University of Corsica and Olivier Pailly from INRA in San Giuliano and thank them for hosting us during the nearly three-month-long campaign. We are grateful to Jan Handwerker, Martin Kohler and Andreas Wieser and the whole IMK team for their commitment to deploying the KITcube. We also thank Rolf Hankers and the aircraft team from the University of Braunschweig for performing the aircraft measurements and Stefan Heise and Jens Wickert from Deutsches Geoforschungszentrum (GFZ) for loaning a microwave radiometer. The authors thank IGN and ACTIPLAN for operating the permanent GPS stations in Ajaccio as well as IGN/SGN for processing these data operationally and Olivier Bock (LAREG) for the screening of GPS data and conversion of zenith total delay into integrated water vapour using the methodology described in Bock et al. (2007). The authors acknowledge METEO-FRANCE for supplying the data and the HyMeX database teams (ESPRI/IPSL and SEDOO/Observatoire Midi-Pyrénées) for their help in accessing the data.